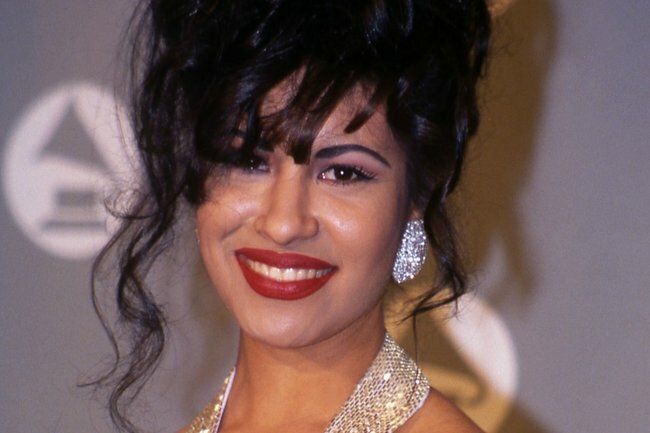 The true story behind Netflix's new show about Selena Quintanalla. Selena's voice was adored around the world. Then she was brutally murdered by a fan. Selena Quintanalla was always meant to be a star. 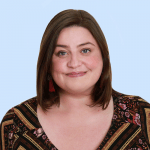 She was born in Jackson, Texas, on April 16, 1971. Her mother, Marcella Ofelia Quintanilla (née Samora), had Cherokee ancestry, and her father was a Mexican-American former singer named Abraham Quintanilla Jr.
Quintanilla Jr said he first noticed her musical abilities when she was just six years old. “Her timing, her pitch were perfect, I could see it from day one,” he once told People magazine. As the youngest member of the Quintanilla family, Selena began performing alongside her older siblings, A.B. Quintanilla and Suzette Quintanilla, in a band called Selena y Los Dinos. They quickly rose to fame but it wasn’t long until Selena stole the show. Selena began recording solo music in 1982 when she was just 11 years old. In 1987, she won the Tejano Music Award for Female Vocalist of the Year for the first time. She went on to win the award nine consecutive times. She also became a fashion icon around the world. In 1991, Selena’s father appointed a woman named Yolanda Saldívar as the president of Selena’s fan club, after she had repeatedly asked for permission to start one herself. As Selena’s star rose, her fan base exploded and the demand for her merchandise and clothing line became too much for her family to handle. So, in 1994, Saldívar was promoted to manage the singer’s boutiques. It wasn’t long until Selena’s staff and family members began complaining about Saldívar’s management style. Then, in January 1995, Selena’s dad started receiving calls and letters from fans who had paid for memberships for the fan club but had never received anything in return. He soon discovered Saldívar had embezzled $60,000 from the fan club and the boutiques. When Quintanilla Jr, Selena, and Suzette confronted Saldívar she walked out of the meeting abruptly. Quintanilla Jr then banned Saldívar from having any contact with Selena. Selena, however, did not want to lose their friendship and thought Saldívar was essential for the success of her clothing line in Mexico. She kept Saldívar on the books and told her family she would fire her “soon”. Over the next few weeks, Selena and her family tried to untangle themselves from Saldívar, as the fan became more and more unhinged. Her story continually changed and her crimes became increasingly bizarre. On March 31, 1995, Selena agreed to meet Saldívar at a Days Inn motel. Once she reached the motel, the fan club president told the singer she had been raped in Mexico. Selena took her employee to a local hospital for an examination. On the drive back to the motel, she told Saldívar it would be best if they didn’t see each other for a while to avoid upsetting her father. When they returned to Saldívar’s motel room, the pair began arguing. Selena told her business manager she could no longer be trusted and that she needed to return her financial papers. At 11.48am, Saldívar grabbed her gun, pointed it at Selena, and shot the singer in the back as she tried to flee the room. Selena began running towards the motel lobby, leaving a large trail of blood in her wake. She collapsed on the floor and begged the staff to lock the door, fearing that Saldívar would shoot her again. She was able to identify Saldívar as her attacker before she went limp and lost consciousness. The singer was rushed to hospital but was pronounced dead at 1.05pm. While emergency room doctors had been fighting to save Selena’s life, local police had been locked in a stand off with Saldívar who had barricaded herself in her red 1994 GMC pickup truck and was threatening to shoot herself in the head. A SWAT team and the FBI Crisis Negotiation Unit were brought in and after more than nine hours, Saldívar finally surrendered. On October 23, 1995, a jury deliberated for two hours before finding the former fan club president guilty of murder. She received a life sentence and won’t be eligible for parole until 2025. When news broke of Selena’s death, millions of people around the world mourned for the talented singer who was taken far too soon.